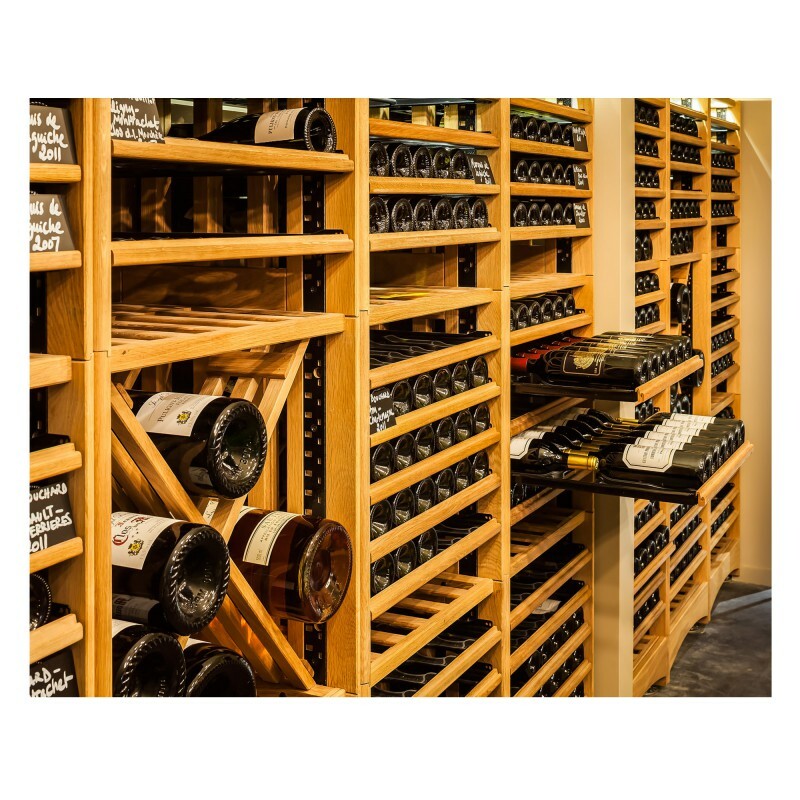 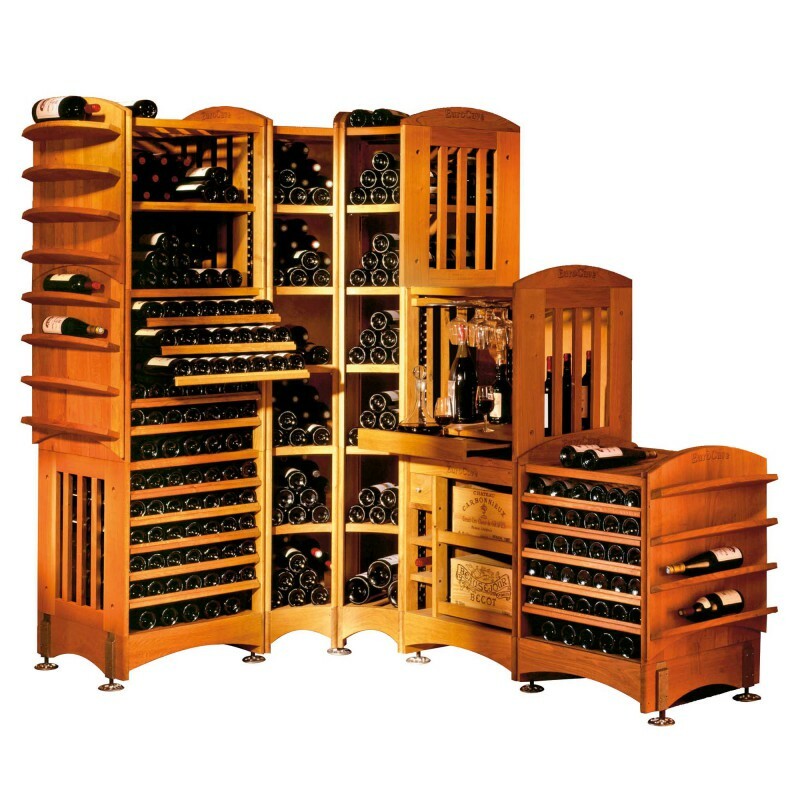 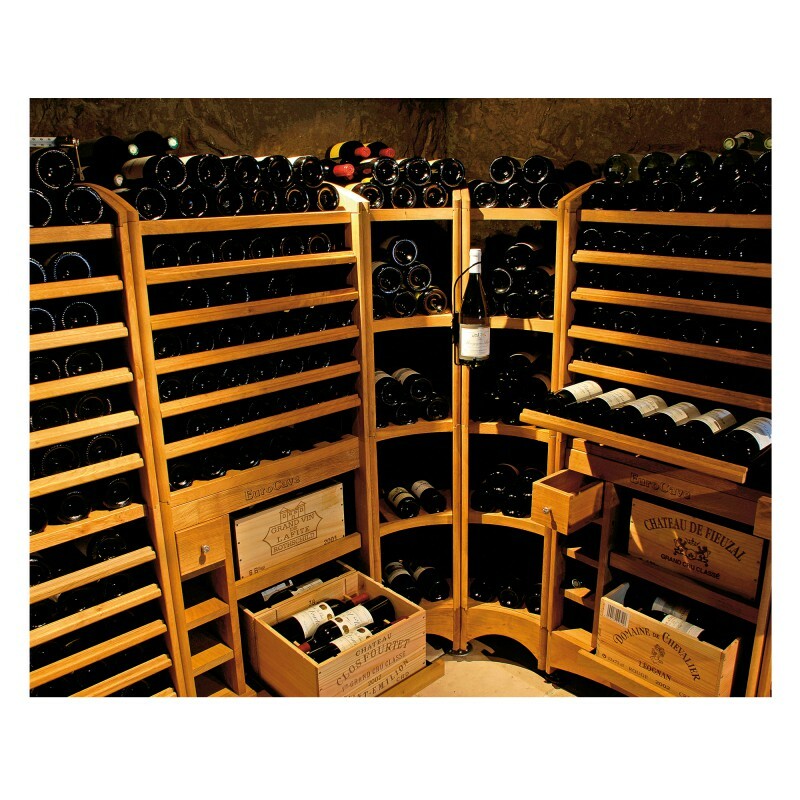 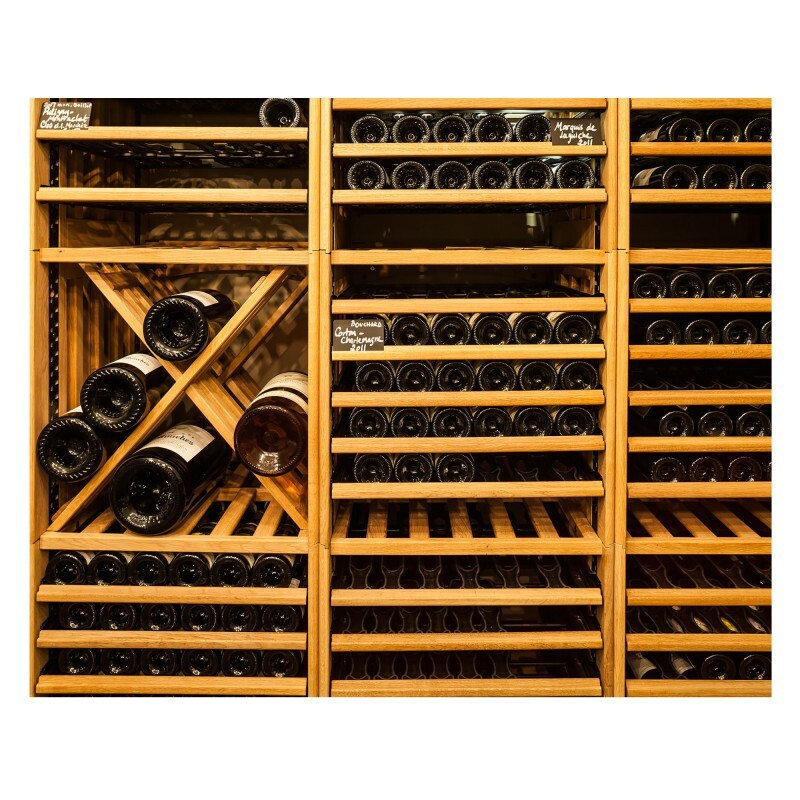 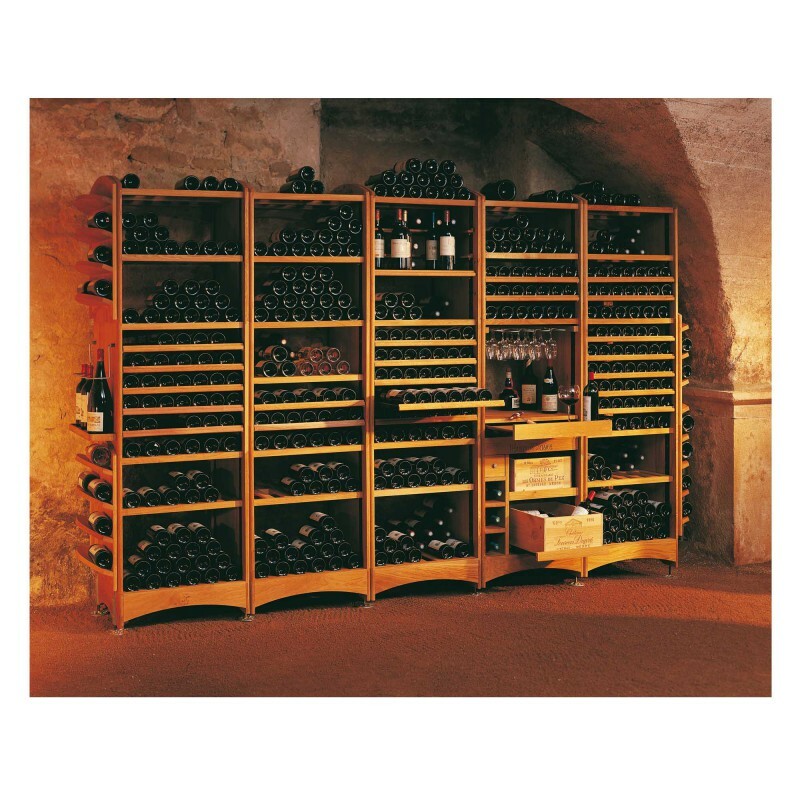 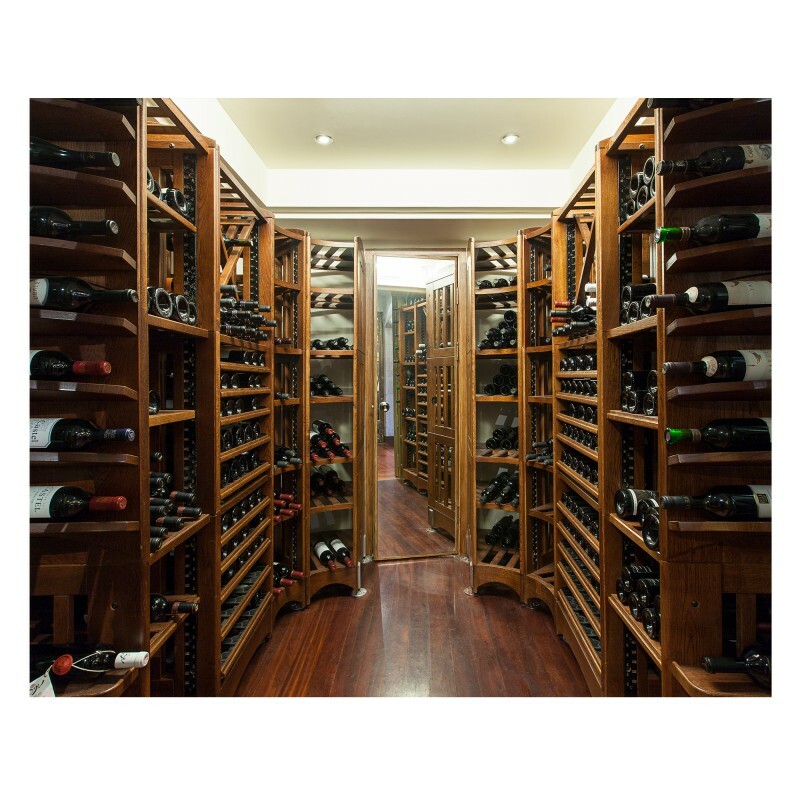 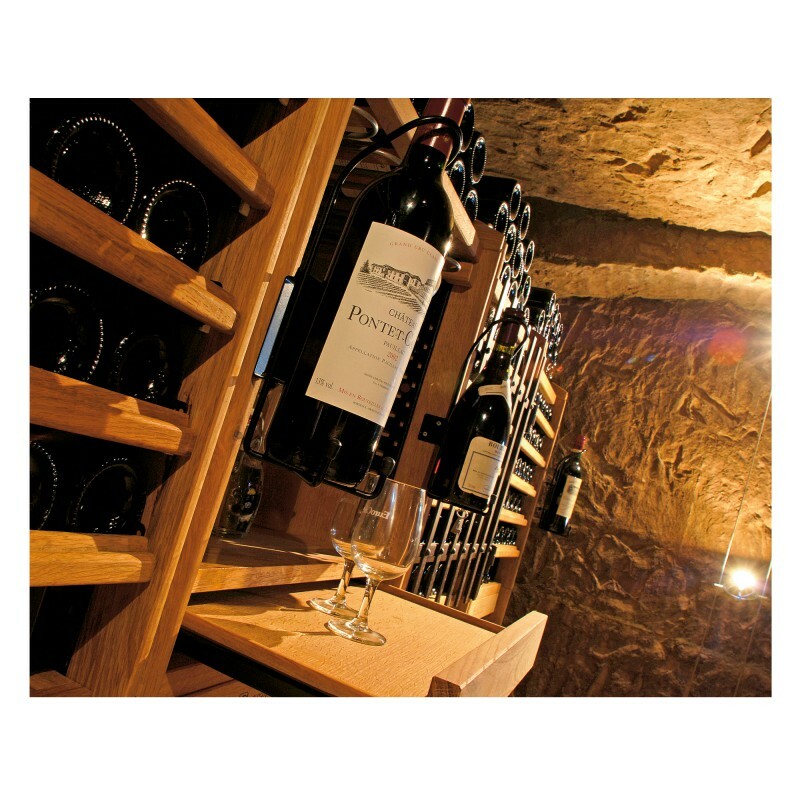 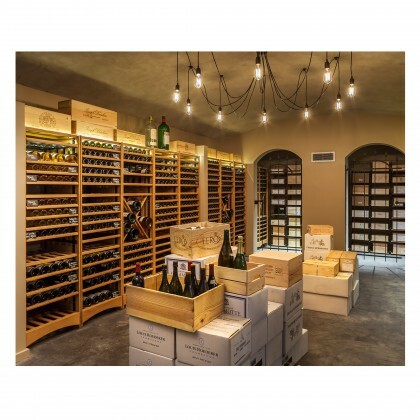 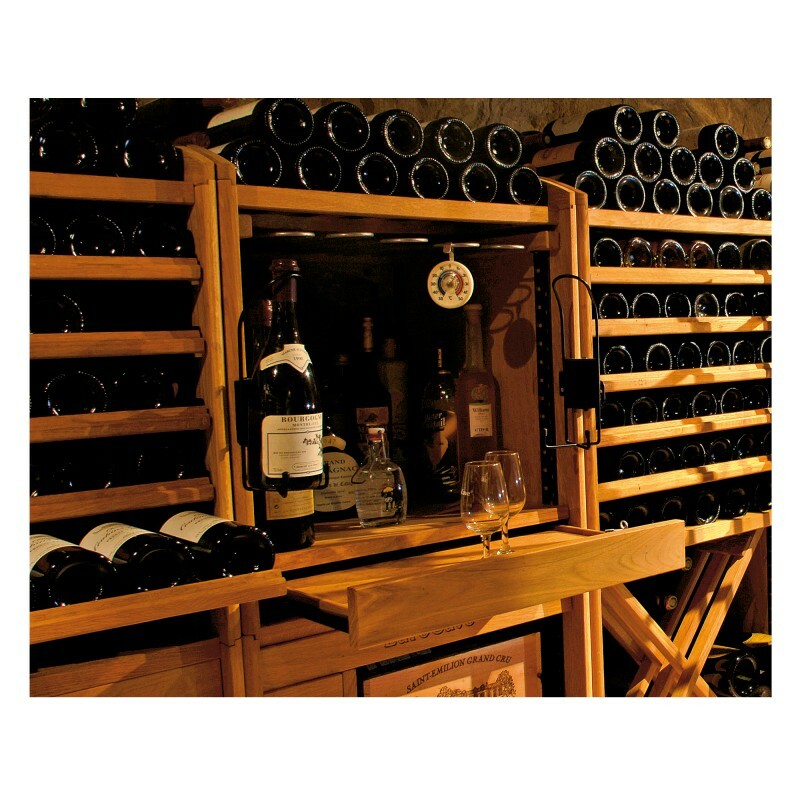 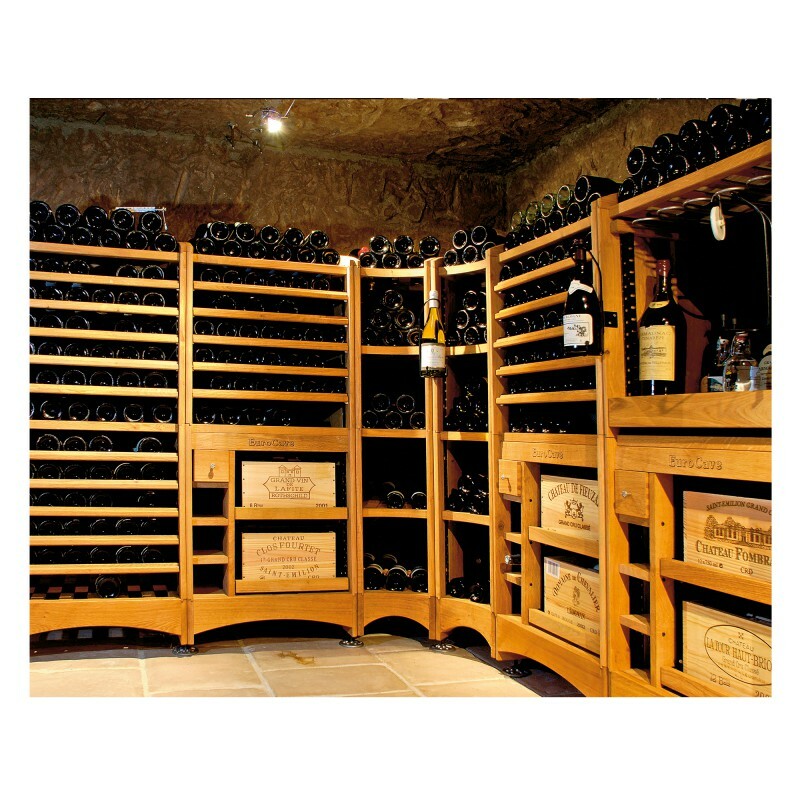 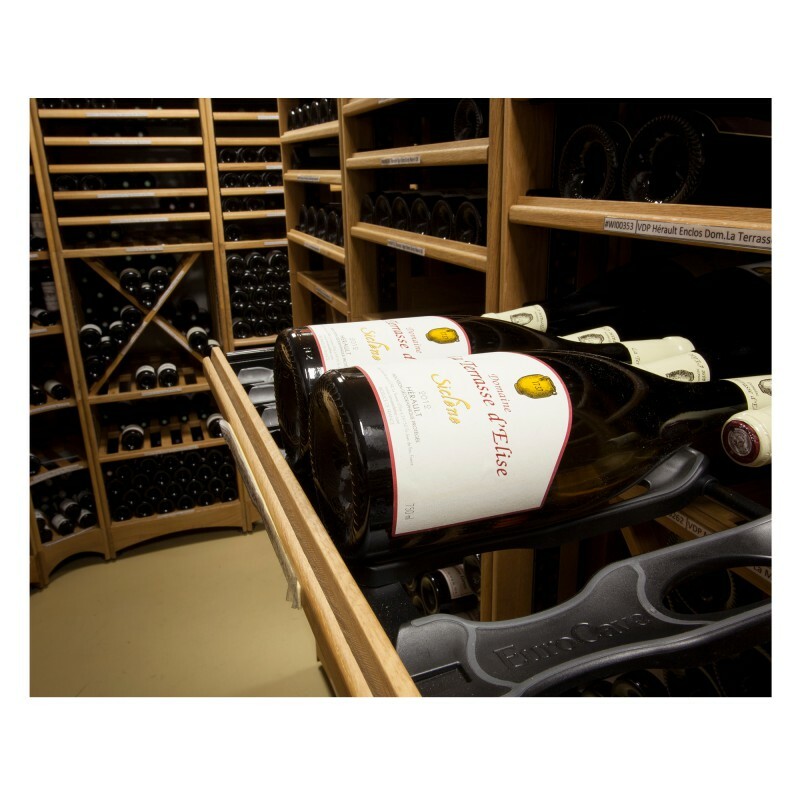 Modulothèque is the ideal solution for safely storing your wines, whether in a natural cellar or specially converted room. 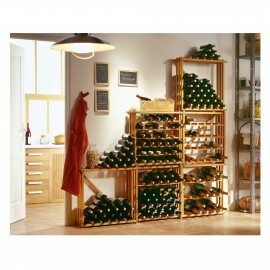 Its original and innovative design is based on assembling various modules in order to create a personalised storage system. 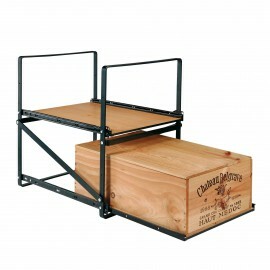 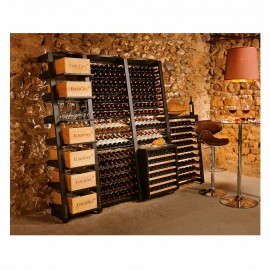 Modulothèque is adaptable wine rack and can be added to as your wine collection grows. 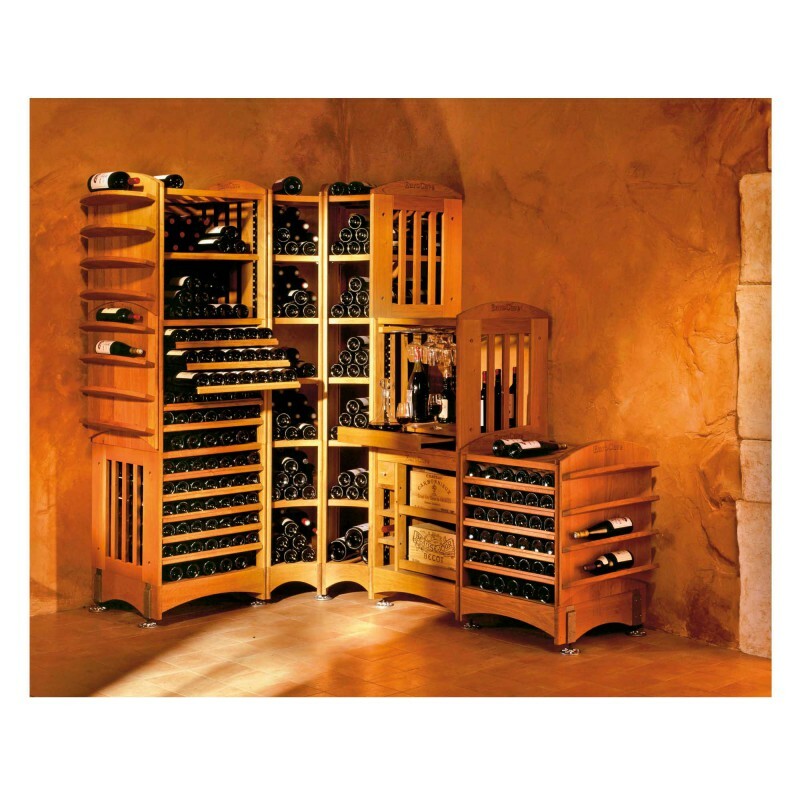  Modulothèque is made from 20mm solid oak, a strong luxurious wood, with an inimitable traditional style. 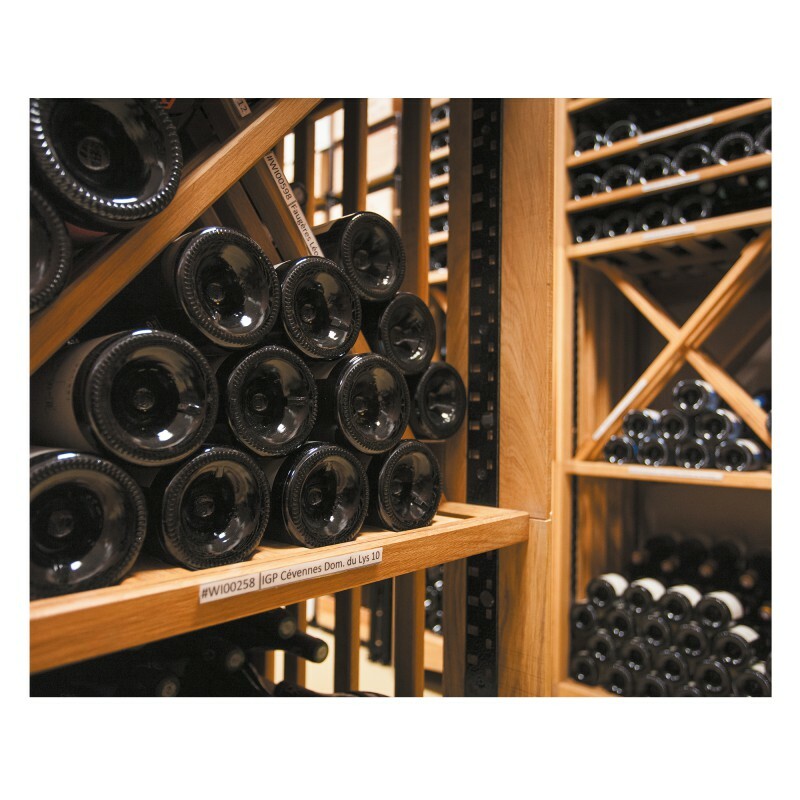 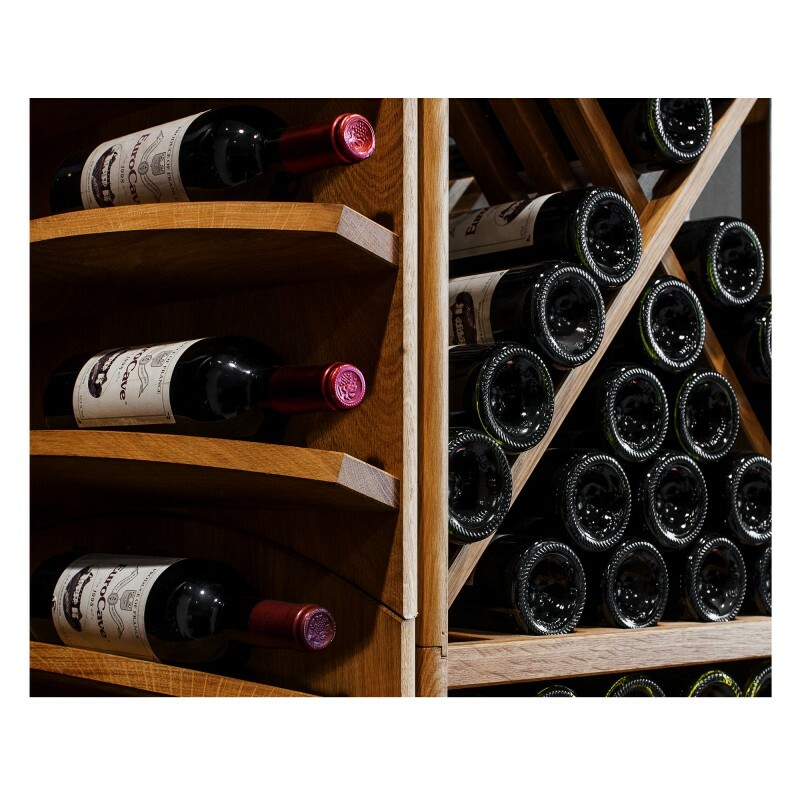 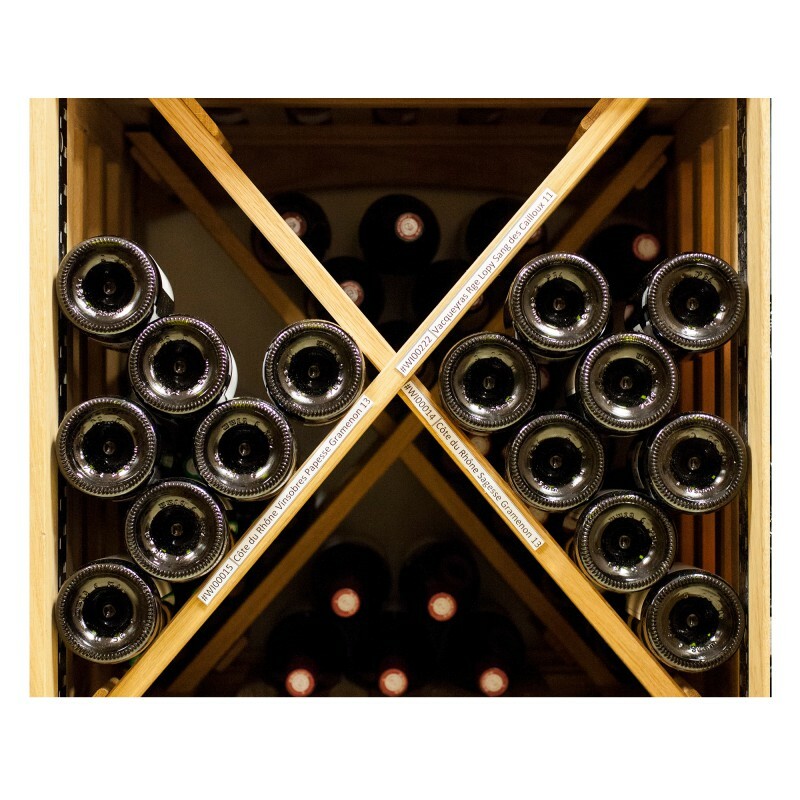 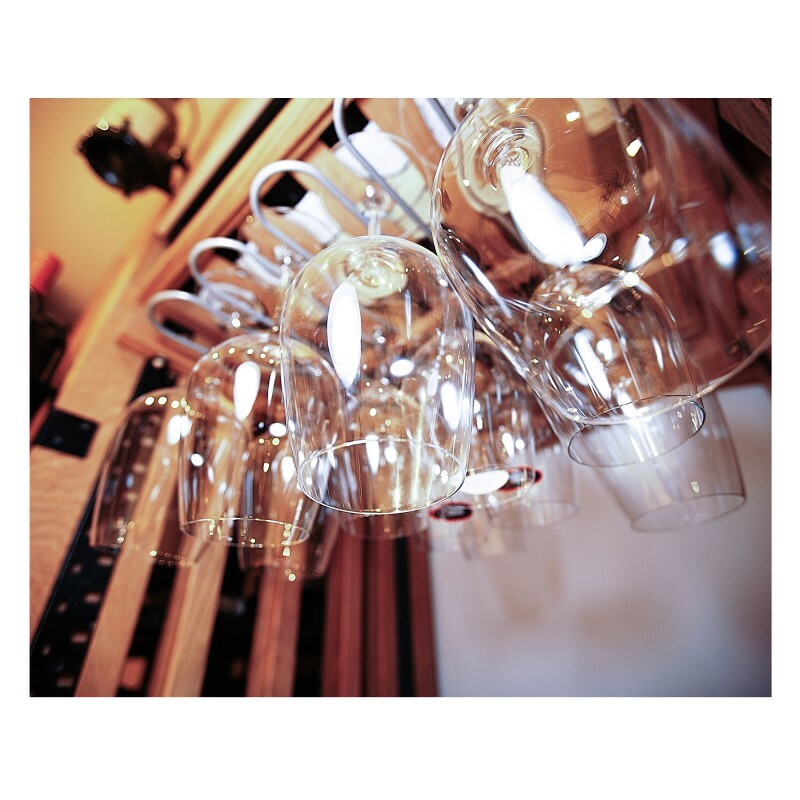  Always a sure investment, oak is exceptionally strong and its resistance to humiditymakes it the ideal material for ensuring maximum stability for your bottles. 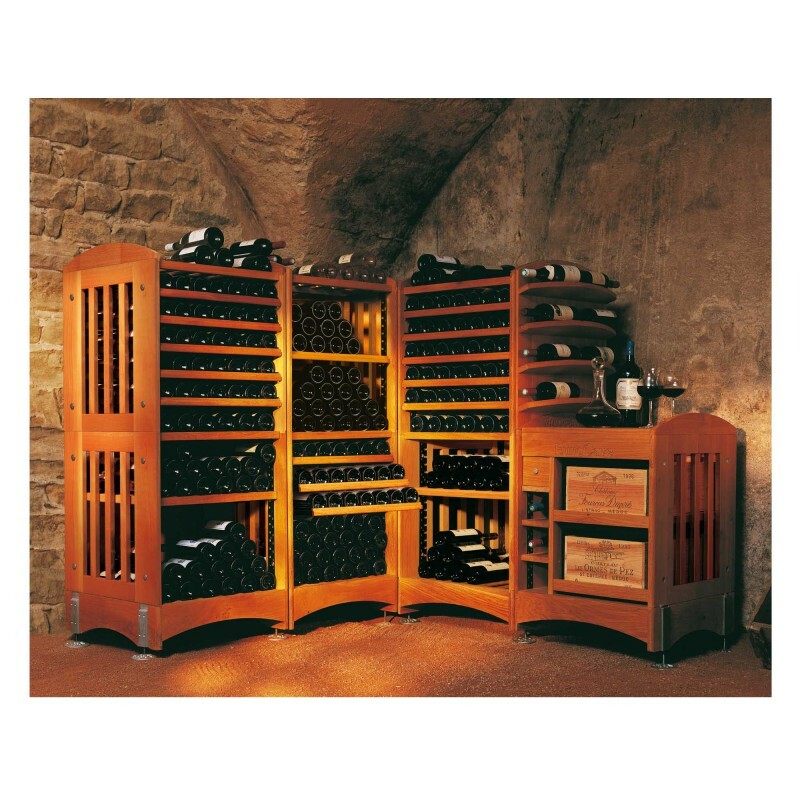  The «colourless linseed oil» finish nourishes the wood and ensures the maintenance of your Modulothèque for many years before it will need recoating. 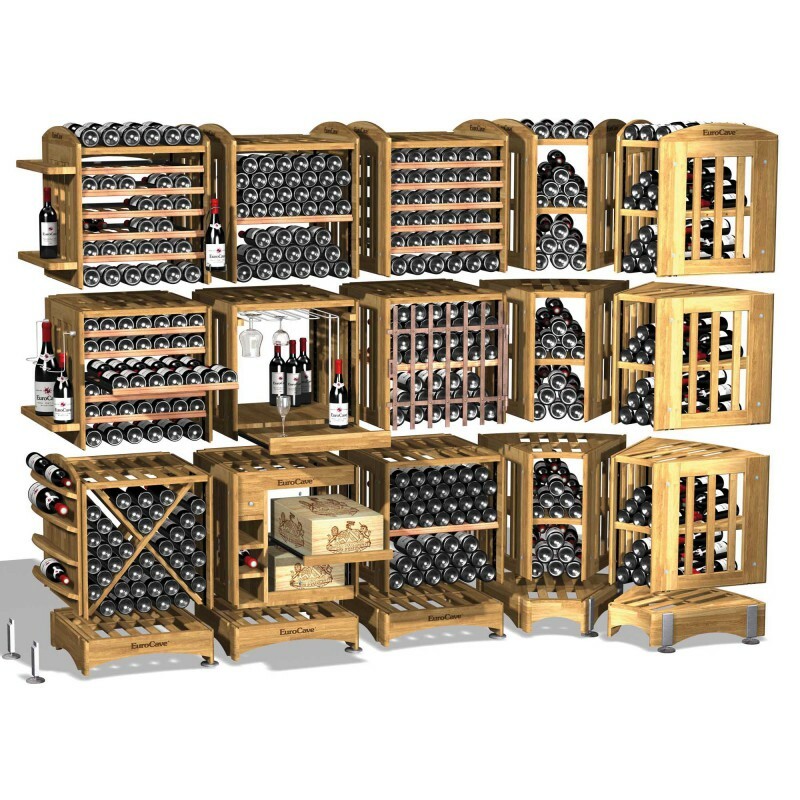 Thanks to a choice of 15 modules, Modulothèque adapts to the requirements of the room to be used (sloped or arched ceiling, corners...) Easy to assemble, the modules can be dismantled if you want to move them or change the layout of your Modulothèque. 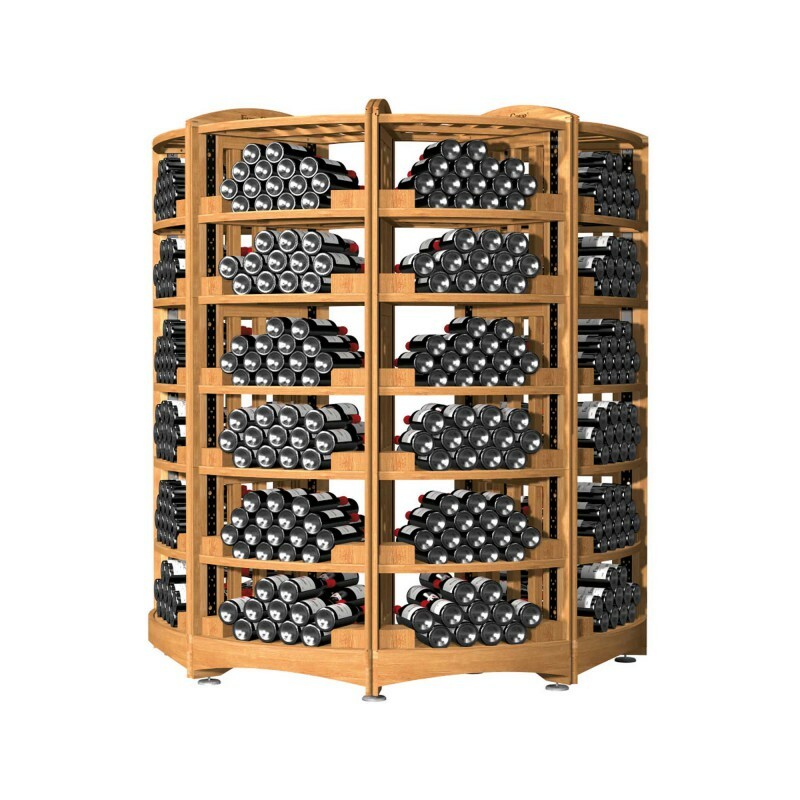 The width, height and storage capacity vary according to the number of modules installed and shelves selected: the layout possibilities for Modulothèque are endless !